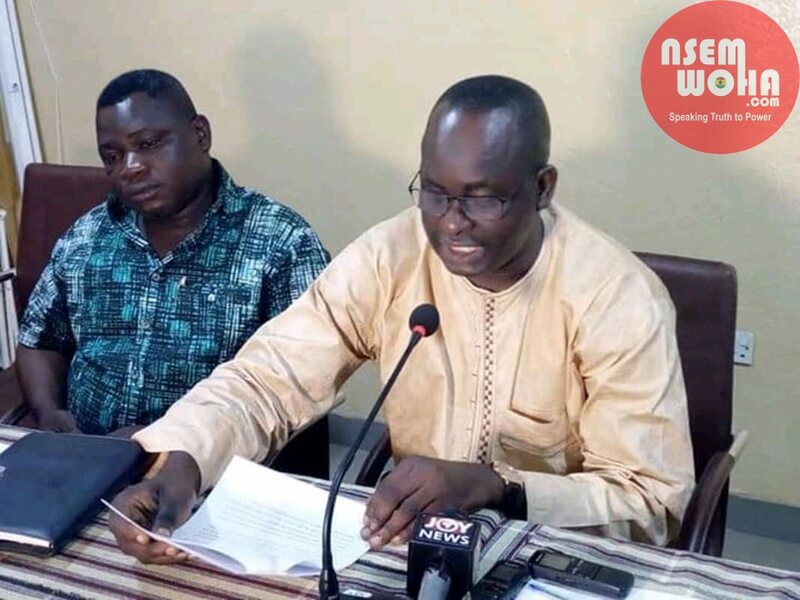 Newly appointed Upper West Regional Minister, Dr. Hafiz Bin-Salih has urged heads of departments (HODs) to rally behind him in order to effectively implement government’s planned programmes to move the Region out of poverty. He said his appointment to steer affairs for the ruling government’s remaining two years was for a “special purpose” for which he has to work hard to justify the confidence reposed in him by President Akufo-Addo. Addressing the heads of departments and agencies at the Regional Coordinating Council Wednesday, Dr. Bin-Salih said, he was “extremely delighted and honoured” for the job. “I believe strongly that my appointment is for a special purpose for, which I have to work hard to justify the confidence reposed in me,” he added. “I want to thank all of you and crave your indulgence to rally behind me to move the Upper West Region out of poverty. We cannot continue to be regarded as the poorest region in Ghana”. He said his vision to lift the region out of poverty line was deeply rooted in the President’s agenda of developing Ghana’s economy beyond aid which would not be accomplished without optimum support from technocrats. Article 36, Clause 5 of the Constitution requires the ruling government to come up with a coordinated programme for economic and social development policies within two years. In that respect, President Akufo-Addo sketched out his vision to grow Ghana’s economy beyond aid after assuming office in 2017 on the theme: “Agenda for jobs: creating prosperity and equal opportunity for all 2018 – 2021. The agenda is anchored on five pillars, namely: revitalising the economy, transforming agriculture and industry, revamping economic and social infrastructure, strengthening social protection and inclusion, and reforming delivery system of public services institutions. Dr. Bin-Salih said to the HODs: “You are no doubt the key implementers of the progrmames and projects to attain this vision” and also urged them to make sure their planned programmes and projects were in sync with policy agenda of the government. “We need to focus on the pillars outlined above by aligning our own plans and programmes with them in our sphere of work,” he stressed. “I am therefore calling on you to do that as soon as possible so that we can collectively be moving in the same direction to achieve the set vision”. He also implored them to show positive attitudes towards work as part of their employment contract agreement, saying: “Any deviation from that will certainly not lead us to the desire state we yearn for our dear nation”. “Let’s eschew laziness, lateness to work, absenteeism, and corrupt practices in our work places; and with the abundance of resources in this country we can realise the dream of ‘Ghana beyond Aid’”. Dr. Bin-Salih was appointed by President Nana Addo Dankwa Akufo-Addo last month in accordance with the Constitution following the re-assignment of Alhaji Alhasan Sulemana.